Last night was a weird one, folks, but that's what I love about this daily thing - you get to dust yourself off and start over. The best advice NFL quarterbacks give each other is the best advice I can give anyone trying to up their bank roll - learn from your mistakes, but most importantly, have a short memory (as it pertains to your daily performance). Tuesday always brings us a big slate and a wealth of different routes to attack it with. There are 15 games tonight, all under the lights, so we have a monster Main slate. Joy! Before we dive into player analysis, let's see what we can learn from the lines Vegas has posted as of this morning. For starters, let's take a look at the biggest favorites. 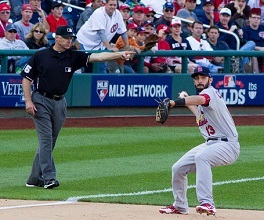 Moneyline favorites can be helpful in determining which cash game pitchers are best. As of now, we have three enormous favorites, all with lines greater than -200: the Red Sox, Twins and Cubs, which will be manned by pitchers Chris Sale, Ervin Santana and Jake Arrieta, respectively. As for run total projections, it starts with Rockies at 6, followed by the Reds (5.6), Angels (5.4), Twins (5.4), Red Sox (5.2), Tigers (5.1) and Orioles (5.1). That's a healthy number of teams above five, and there are quite a few lurking in the 4.5 - 4.9 run range. Keep an eye on late movement in respect to run lines, as it may uncover a new stack or strategy for you. 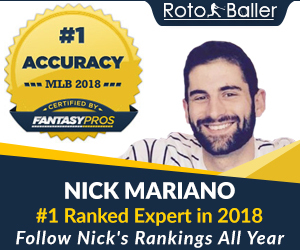 In this article, I will be providing you with my daily fantasy baseball lineup picks for DraftKings and FanDuel on 8/29/17. The lineup picks will range from some of the elite players to mid-priced options and value plays. His last start isn't going to scare me off here. We all know Sale - like Max Scherzer, Corey Kluber and the like - have that extra something that makes them tick. I see a big bounce back tonight against a team that he has dominated this season - 24 strikeouts over 15 innings with zero earned runs. His season stats are still uber-elite 0.9 WHIP, 0.9 HR/9 and a K/9 that is hovering above 12. His Statcast data is still very favorable - even including the blow-up in his recent appearance - as he's allowed just a 31% hard hit rate in that time frame, and batted ball luck tells us he's even been quite unlucky. Avila has been incredibly consistent this season and for reasons unknown to me, we get him at a bargain price despite the consistency and strong numbers. Avila handles right-handed pitching extremely well (.377 wOBA, .277 ISO dating back to 2016) and opposing starter Chad Kuhl has documented struggles with left-handed hitting. This is a great value price for the man promising to donate 10,000 to Houston for Hurricane Harvey. Carpenter and his teammates have a dream matchup on paper. Matt Garza is back to the being the Garza we know, and over his last three starts, he's allowed a .447 wOBA against and a .475 ISO. That bodes really well for Carpenter and his strong splits against right-handed pitching - .359 wOBA and a .206 ISO. A fairly modest price on Draftkings, Murphy is, but a complete steal on FanDuel. Murphy finally woke up his bat tonight and after digging into the matchup, I see no reason why this can't continue tonight with Vance Worley on the mound. Worley has been surprisingly effective at times this year, but he's blown up in his last few starts and allowed a .388 wOBA against and a .216 ISO. With Murphy, you get strong platoon splits (.384 wOBA, .224 ISO) and great team context. Valbuena is a strong value play tonight with good home run upside. He came up short last night but has been smoking the ball. Unfortunately, he has been BABIP'd to death, but I like his chances tonight against Chris Smith, who has allowed a .224 ISO against this season. Valbuena has good team context, as the Angels have a strong run projection and get Mike Trout back in the lineup tonight. Valbuena has a 40% hard hit rate in the past two weeks and a .224 ISO split against right-handed pitching this season. I already gushed about all the things that make this matchup attractive for Washington in my Murphy write-up, so I'll spare you that repetitive detail. Obviously, taking any hitter in their return from the DL comes with some risk as they could be a little rusty, but he checks off a lot of boxes for me today that other shortstops just don't - great splits, exploitable pitcher, lead-off position in the order with great team context, power upside and last, but not least, he's always a threat to snipe a bag or two. Against right-handed pitching, Turner has flourished in his young career, producing a .376 wOBA and .204 ISO split. The Mets have have literally closed their doors on this season and I think we're going to see fireworks off the Reds' bats as a result. Chris Flexen is a pitcher that can very easily be taken advantage of (.388 wOBA allowed and a .214 ISO allowed this season) and Vegas agrees with me here, as they've attached one of the highest run projections of the night to this Cincinnati team. As for Schebler, he owns a .352 wOBA and .228 ISO split and in the past seven games, he's flashed a 45% hard hit rate. I love the matchup, park upgrade and top of the order of this St. Louis team, so I'm going to have plenty of exposure. Garza's struggles are well known, as is the fact that Fowler is a switch-hitter who brings much more pop to the table when he's hitting from the left side (.230 ISO compared to .170). He's also been showcasing strong Statcast data in the past two weeks, posting a 45% hard hit rate in that stretch. Davis is my home run call of the night. His power knows no limits, so the park doesn't scare me off. The matchup is a good one, his Statcast data (hard hit rate, fly ball rate and average batted ball distance) are all off the charts, and he certainly favors the righty-righty matchup. Dating back to last season, his splits in these situations are amazing - .365 wOBA and a .304 ISO. 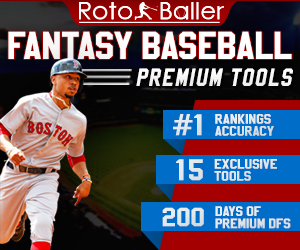 Get a free trial of our powerful MLB Premium Tools. 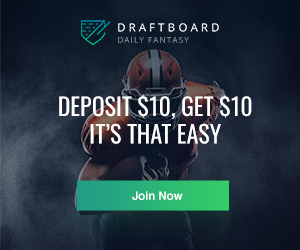 Our famous DFS Optimizer & Lineup Generator, daily Matchup Ratings, expert DFS Lineups/Cheat Sheets, and more. Win more. 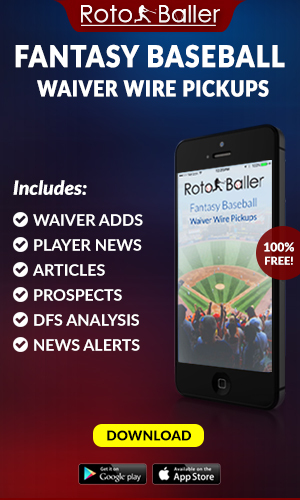 Try the most advanced lineup optimizer in daily fantasy baseball.